• Play Flamingo Croquette with her majesty, the Queen of Hearts. • Chat with Cheshire Cat. 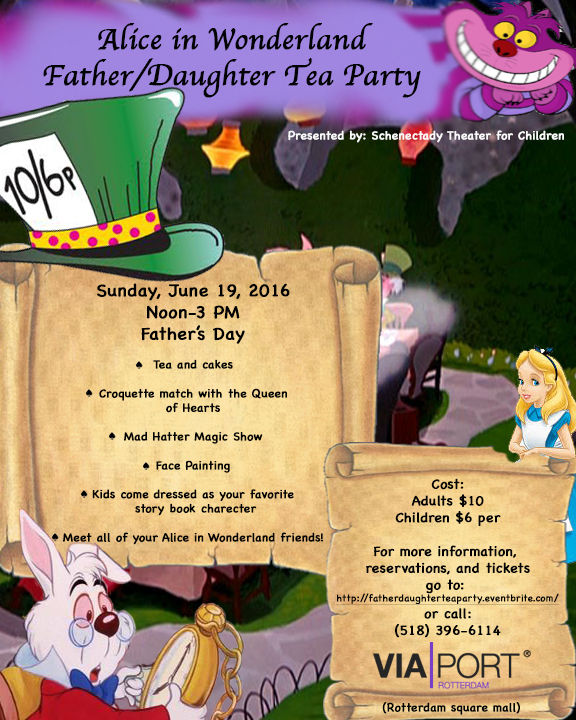 At the Queen of Hearts' Command, come dressed as your favorite Wonderland resident or Princess, or any other storybook character. Let's all get into the fun of our event! Moms, Dads (it's your day, after all) big sisters, and baby brothers. No costume? Well, we see about that! We'll put you in something of our own, so you may attend our Tea Party properly dressed. Remember: don't be late for this very important date!